Pick up the Lexington Side Chair, and you can enjoy a luxurious and practical piece of furniture. The side chair includes a soft leatherette over foam seat and back that blend fashion and function like never before. Plus, the side chair's brushed stainless steel base and top handle further enhance the chair's overall quality. Incorporate a dazzling and versatile side chair into a home or office space thanks to the Lexington Side Chair. Soft leatherette over foam seat and back combine comfort and style. Brushed stainless steel base delivers exceptional support. 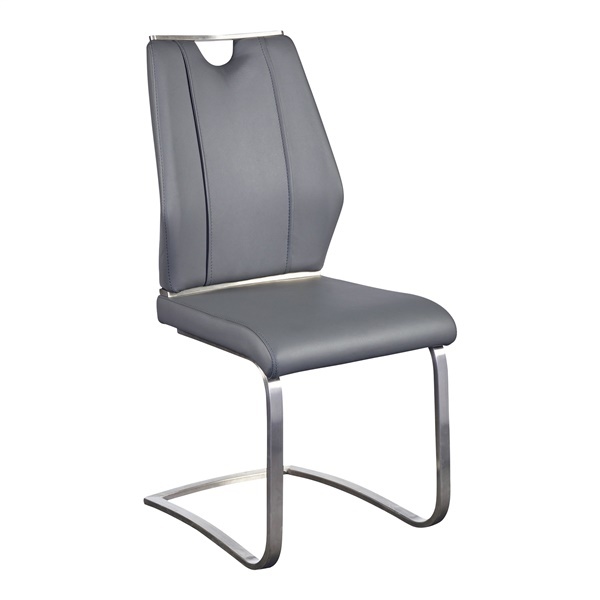 Brushed stainless steel top handle further enhances the side chair's appearance. Attractive side chair makes a great addition in any home or office space.